We strive to make sure you are always satisfied with our work and keep you happy through the entire process. We stand on the proverb any job worth doing is worth doing right, and we would much rather have you as a repeat customer than make a quick dollar. That is why are business is built on those principals and we believe why our business succeeds. Keeping your panel update with the latest in wiring and technology is one of the most important tasks that takes place in your home. With most problems turning into catastrophic failures like fire, or entire system short outs, the safety of your home and everyone in it rest on electrical panel. Sure Line is here to keep you safe and running without problems. That is why we undergo specific training to make sure your Town of Babylon panel upgrades are handled with perfect precision, at the best price possible. 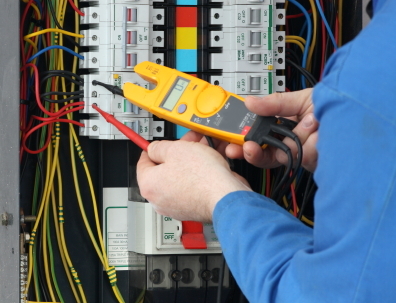 Electrical Repairs can seem like a daunting task. With so many problems that can go wrong, and so many little intricacies to remember it is very easy to become overwhelmed. This is just another reason to always let a professional handle all of your Electrical repairs. Certified and insured guarantees that your hiring someone who not only understands the way things should be done, but undergoes specific training so that as the industry changes they are aware of the new systems as well. Sure Line is here to make sure your Town of Babylon electrical repairs are always done right the first time, and we will stand behind our work every time. Many people believe that electrical inspections or only for people trying to sell or buy a home, and while this is certainly a major part of the inspection business, never mistake the benefits of having an inspection of your current home performed. Sure Line can tell you if your system has any dangerous areas, or if maybe your system can hold for another few years with just minor upgrades and replacements. Plus you will have the peace of mind that comes from a professional telling you, "hey looks good". Major Town of Babylon Home Remodel - Upgrade Your Electrical Service!